Today has been a day filled with interesting transfer news, speculation, gossip, and rumors surrounding the Gunners. There is some fascinating transfer news, so without further ado.... here is the Arsenal Transfer News Roundup. 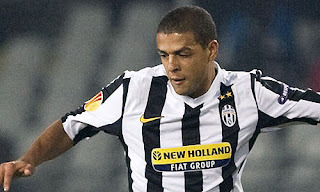 Numerous reports are flying around, stating that the Gunners are interested along with Chelsea in Juventus's holding midfielder, Felipe Melo, who's likely to leave Juventus this summer. Melo was snubbed from Juve's 25-player US tour list, which has led to these reports. Melo, has long been a target for the Gunners, who were close to signing him in 2007, after he impressed in the Confederations Cup before Juventus pipped them to his signature. Melo would be a good signing for the Gunners and would provide serious competition for Song. 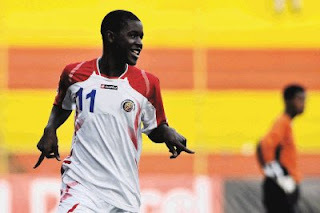 He is aggressive, tough, and a good passer, but with Chelsea, reported to be on the lookout for a new holding midfielder after Essien's injury, the Gunners will have a huge fight in their hands, if they are serious about going for Melo. 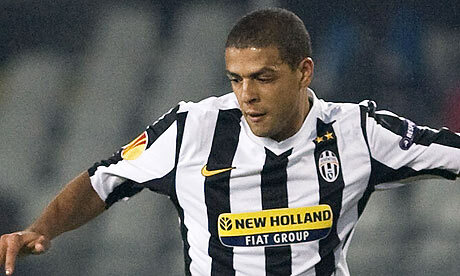 Felipe Melo is reportedly valued at around 15 million euros. 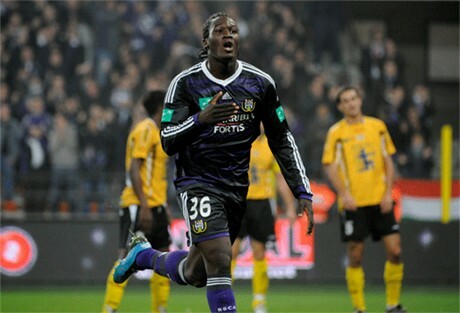 According to the Metro, Man City have joined Arsenal and Chelsea in the pursuit for the services of Anderlecht and Belgian international striker, Romelu Lukaku. Man City are reported to have bid around 18 million pounds, after the Gunners reportedly made a bid of around 14 million pounds for the talented Belgian. I really hope that the Gunners can snap him up because he's a quality player, who has all the capabilities and qualities to succeed in the Premier League and with the Gunners. But Man City and Chelsea, are both two clubs willing to spend big money on their targets, so the Gunners will have a huge struggle in their hands. It's now official, as Denilson's loan transfer to Sao Paulo was made official today. It's a one-year loan deal and reports in Brazil, say that that the Gunners received a 400,000 euro loan fee and that Denilson can be bought outright by Sao Paulo for around 6 million euros. I have never been Denilson's biggest fan, but I wish him all the best of luck with Sao Paulo. After the reports, stating that Joel Campbell is closing in a move to the Gunners, his father and agent has made a statement, saying that any potential deal will be delayed till after the U-20 World Cup. “We have decided we will not sign anything yet; we expect to finish the World Cup to for Joel to go and play calmly and without pressure, then see what happens. The offer from Arsenal remains on the table - we are not saying no, we are asking for time.”- The quote was provided by fellow Arsenal blogger, Gunnerblog, who has done an excellent job reporting the story. This statement comes amid reports that Campbell's club, Saprissa, received two bigger offers from both Man U and Dynamo Kiev for his services. What do you think? Do you want to see Melo as a Gunner? Should Arsenal go all out for Lukaku? Do you see Denilson returning to the Gunners? What are your thoughts on the latest on the Joel Campbell deal? Please share your thoughts and opinions, either on the comment section or through Twitter: @OAlmasri.